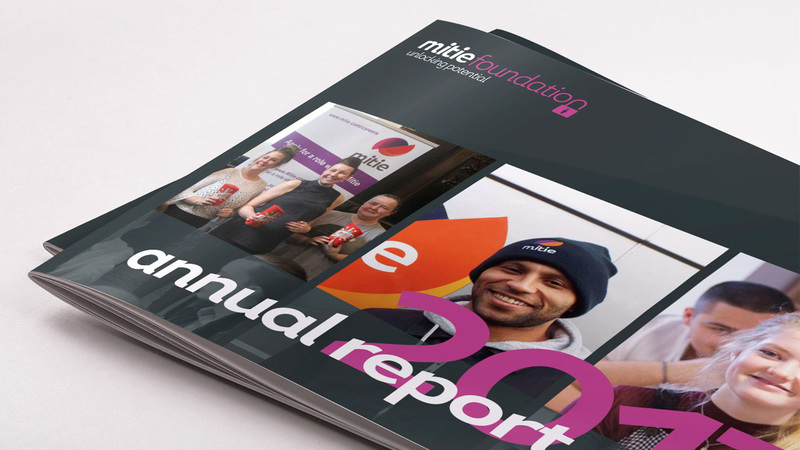 We have worked closely with Mitie for over 10 years and we are proud to assist them with many aspects of their design work. From the creation of regular HTML emailers to extensive printed annual reports, we take great pride in producing on-brand documents that reflect the professional and corporate, yet approachable brand. 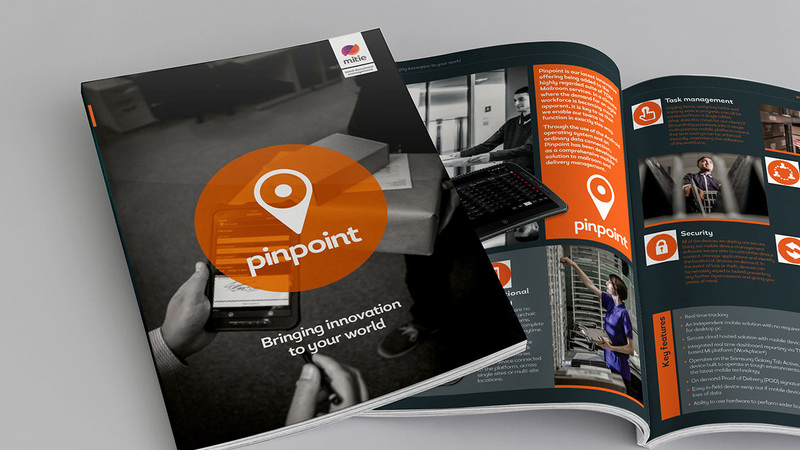 One such example is the Mitie Pinpoint Brochure – maintaining the distinctive Mitie brand was at the the forefront of our minds as we developed this document to not only work well as a stand-alone piece but also work coherently with the existing brand. Using the bold orange against subtle greys allowed us to maintain this connection whilst exploring a fresh take on corporate collateral. In addition, we have created numerous HTML emailers which also follow the friendly yet professional approach. One of the main focuses for our team when creating such emailers is to create a user-friendly experience which is responsive across multiple devices – this is imperative for all modern emailers and our passionate team constantly look to the latest technologies to ensure that this is always the case. 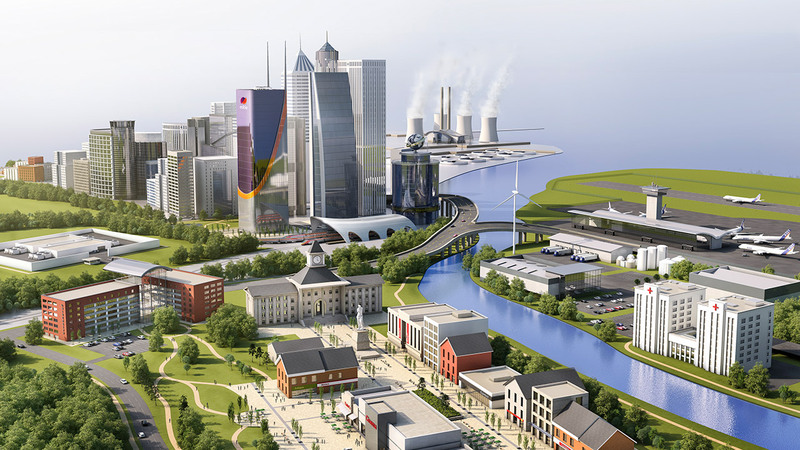 Further to this, our experienced designers create graphical animations for Mitie – such examples of animatronics enable complex information to be displayed in a way which is user-friendly and reaches a far broader audience. 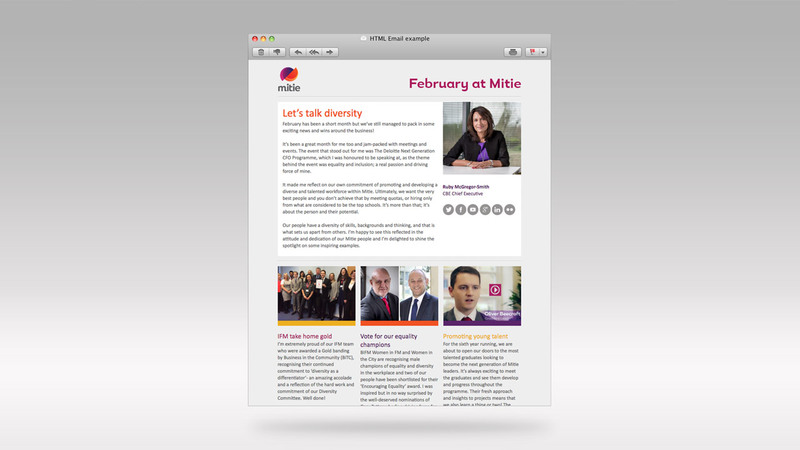 Accessible, modern animations such as the System Animation we developed for Mitie are a great way to show your brand is moving with the fast pace of technology whilst getting your message to the people who need to hear it! Whether you, like Mitie, have existing brand guidelines that you’d like us to work within, or if you’re looking for a sleek animation to show what your company can do, why not get in touch and we will be happy to discuss the possibilities for your brand.